Concerns about a bailout for farmers have caused the rupee to miss out on a revival. Concerns about a bailout for farmers has caused the rupee to miss out on a revival. A Bloomberg survey of analysts forecast a drop to 71.20 per dollar by March 31. Mizuho Bank sees the currency’s drop extending to 72.50 by end-March, while ING Group expects it to test 73 levels during the period. 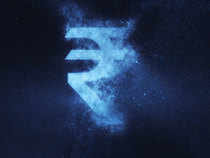 The rupee fell 0.1 percent to 70.49 as of 1:36 p.m. in Mumbai. “With the risk of fiscal slippage rising, bond market is nervous and that’s getting transmitted to the rupee,” said Anindya Banerjee, a foreign-exchange analyst at Kotak Securities in Mumbai.